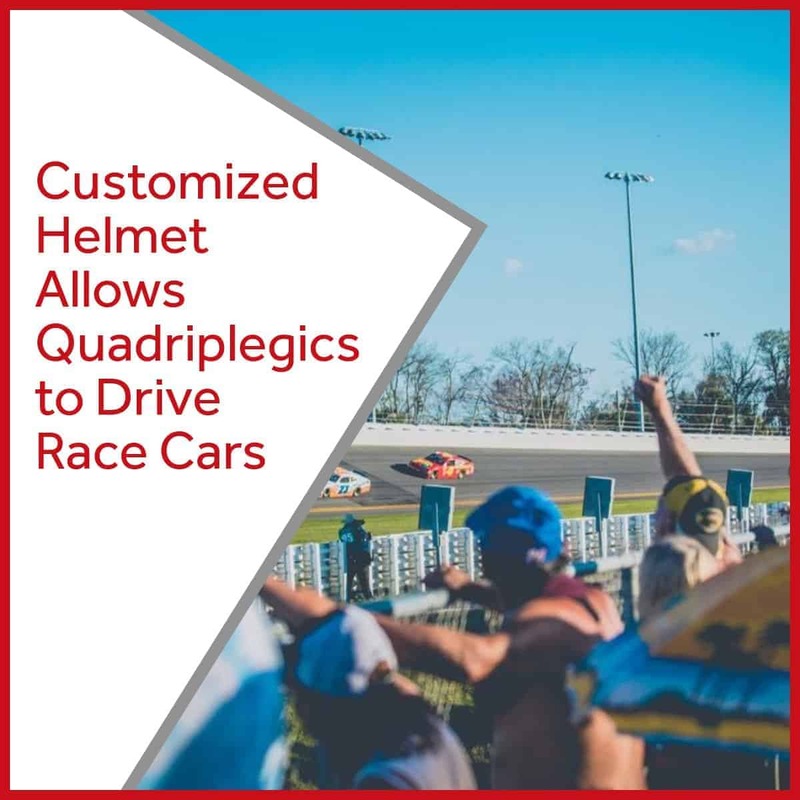 This feature story discusses how an individual with quadriplegia controls a race car using a special helmet equipped with head tracking and sip and puff technologies. An accelerometer on the car and helmet detects head movement, thus allowing the car to turn left or right. A sip and puff straw controls braking (sip) and speed (puff). Additional cameras also gather important data, which, along with the accelerometers and straw, helps the car deliver a smooth ride. The special helmet is equipped with custom environmental control unit features, much like those available with our signature autonoME package. The above article illustrates one of the many reasons why hospital ECU units are so important. Using an ECU in hospital settings helps quadriplegics and their caregivers get hands-on experience mastering the device. The autonoME is a combined environmental control unit (ECU) and speech generating device (SGD). It’s dual augmentative and alternative (AAC) / hospital ECU capabilities make it perfect for spinal cord injury units. We’ve installed the autonoME in numerous public and private hospitals as well as spinal cord injury units in Veteran’s Administration hospitals throughout the country. Interested in learning more about the autonoME and how this custom environmental control unit / AAC package can help you, your loved one, or patients achieve maximum independence? If so, please send us an e-mail or give us a call. We’re here to help!